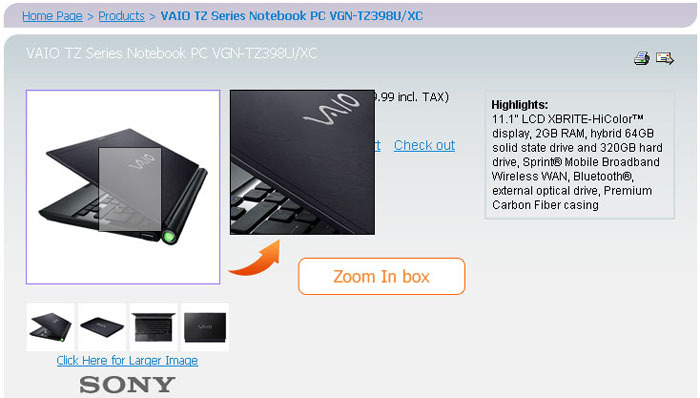 Now it is possible to zoom in product's image on product details page. 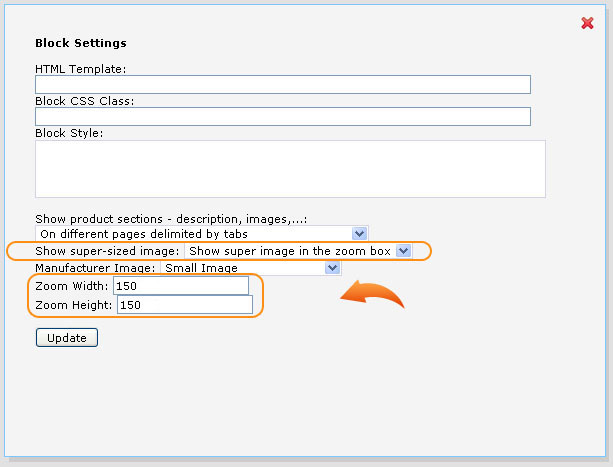 To enable the feature go to CMS > Pages Layouts > Products Details Page > click on settings of the 'Products > Product Details' block where select 'Show super-sized image: Show super image in the zoom box' and then specify Zoom box Width and Height. Note: If you don't want to show Zoom In box for some product delete its Super-sized image in Dashboard > Products > Products & Categories > Edit Product > Images & Appearance tab then Zoom box will not appear.